When you get to the point where you’re reading to look for an agent, I recommend QueryTracker. There is a free option, or subscription for a low annual fee. You can search for agents based on genre criteria and start to put together a list of possible agents. You’ll want to do some research before sending a query, but QueryTracker has easy links to get you to the agency website, blog, Twitter feed, etc. Once you’ve put together your list, you can use QueryTracker to keep track of whom you’ve sent query letters to, and when, and what the result was, which is really important. Gwen Hayes' Romancing the Beat is a terrific cheat-sheet to romance novellas. I like how she does her outlines and her descriptions of each beat. Pretty much every book on writing promises to be "the last book on writing you'll ever need," but I think this might actually be IT. 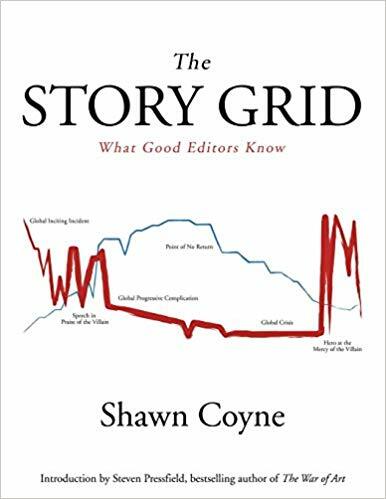 Shawn Coyne is a gifted editor who shows you how to analyze a full-length manuscript the way an editor does, in macro, micro, and integrated formats. I'm glad I've read the other books on writing I've read, because "The Story Grid" reads like a Master Class in story structure. Once I really grasped his Inciting Incident-Complication-Crisis (Decision)-Climax (Action)-Resolution pattern at the scene, act, and global level, all sorts of things that had frustrated and confused me about other systems started to snap into focus. Coyne also spends time demystifying genre and genre expectations, which I think is critical for writers aiming to produce commercial fiction to understand. There is a FANTASTIC weekly podcast put out by Story Grid by a rotating group of Story Grid certified editors discussing genre and structure by looking at common movie examples. You get different perspectives, but using a common framework and language, and it’s been eye-opening. Copyright © 2018 Heidi J. Hewett.